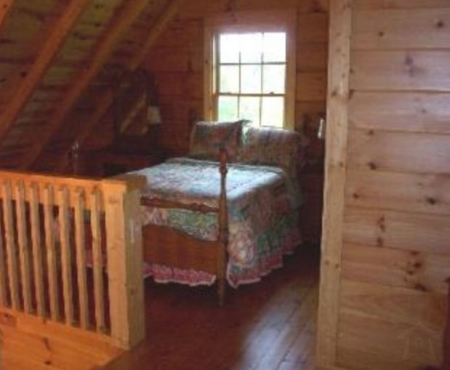 Sitting just off the Blue Ridge Parkway you will find Fernwood Cabin which is a new rough hewn 900 square foot log cabin that sits on five acres outside Galax, Va. 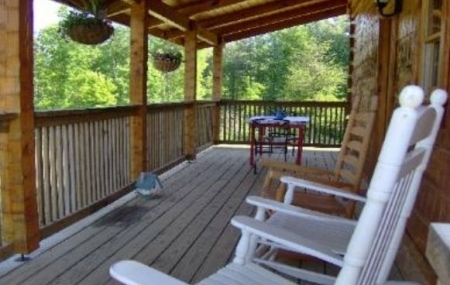 The home is less than 2 miles from the Blue Ridge Parkway and approximately 9 miles from the Interstate 77 Exit for Fancy Gap. 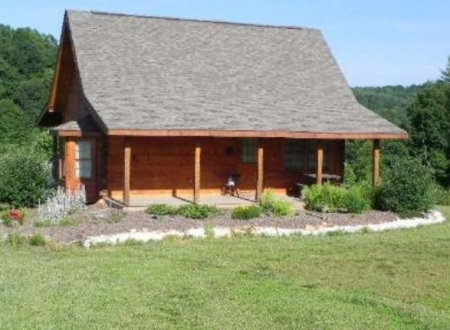 Ten miles from Hillsville, Va in Carroll County and ten miles from Galax, Va, this home sits on a hill with one porch overlooking the mountains. A paved drive comes into the house which has a gravel driveway. There is a rock walk leading into the home and another porch at the entrance. Large rockers sit on the back porch with a picnic table on the front entrance porch there is a small table and chairs to eat meals on the porch while looking at the mountains. 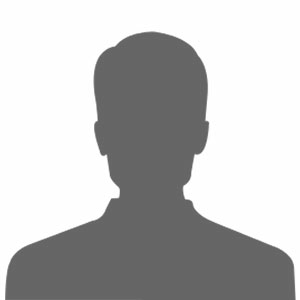 The kitchen has all new General Electric stainless steel appliances and is fully furnished with refrigerator,stove, oven, microwave and dishwasher. 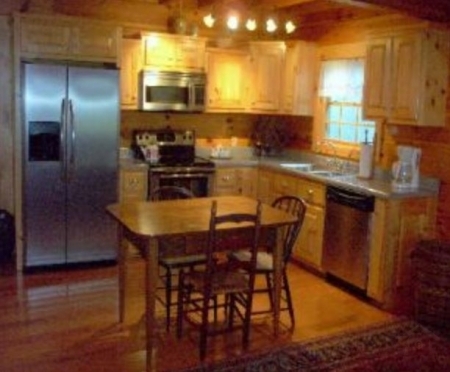 Dishes, pots, pans, blender, toaster and grill are provided. Linens and paper needs are also provided. There is a 32 inch flat screen tv with a DVD Player. steps and has rails on one side. 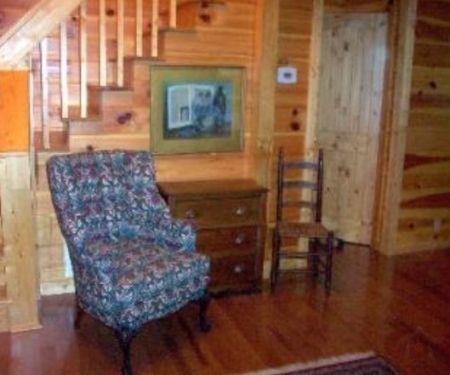 There is a half bath and a sitting area with a love seat and chair on the second floor.